Learn more about George Couros' vision for innovation at FETC. Influential educator and blogger George Couros helped kick off FETC 2016 with the conference’s first keynote, “Leading and Empowering a Culture of Innovation,” an executive session addressing education leaders. 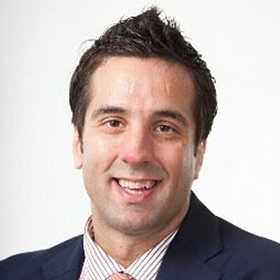 EdTech caught up with Couros, the division principal of teaching and learning at Parkland School Division, in Alberta, Canada, to get the details about his message to educators. EDTECH: Tell me about your presentation at FETC this year. What was its theme, and what did you touch on? COUROS: The keynote was based on my new book, The Innovator's Mindset; Empower Learning, Unleash Talent, and Lead a Culture of Creativity. The focus is on how we help ourselves and others create new and better learning opportunities for our students that should not only be learning, but doing something with their learning. EDTECH: Professional development has come into sharp focus in the past few years. Teachers are demanding more quality training with the techniques and technologies they’re being asked to incorporate in classrooms. How do you see PD evolving in the future? COUROS: Simply put, professional learning should mirror what we want happening in the classroom. We are more likely to create what we experience, and we cannot simply "hear" about great learning opportunities for our students and not create them for ourselves. As educators, to be master teachers, we need to be master learners. Here is some more information on where I see professional learning going. EDTECH: There was a fascinating graphic by educator Sylvia Duckworth that was being distributed on Twitter around the time of your keynote. Could you explain the “school vs. learning” dichotomy? COUROS: The idea behind this graphic is that schools often focus on getting kids to do well on a test, as opposed to developing learners. Content is important, but we need to go beyond that. If done the wrong way, schools can actually go against what is needed for learning. There are a lot of schools and classrooms that are doing amazing jobs at really promoting their students to become learners as opposed to learning stuff. EDTECH: What’s one challenge you foresee K–12 leaders struggling with, in terms of new technologies in classroom environments? COUROS: What I think is important is that we help educators learn to not only embrace change but lead it. Change is the only constant. If we see change as an opportunity as opposed to an obstacle, it will really make a difference on how we embrace new technologies moving forward. What if school wasn't only the place where we embraced new technologies, but that we actually had our students start to develop them? That would be a powerful shift, but it will take a shift in cultural mindset to make this happen. Read more of Couros’ thoughts on education on his blog, The Principal of Change. He can also be found on Twitter @GCouros.